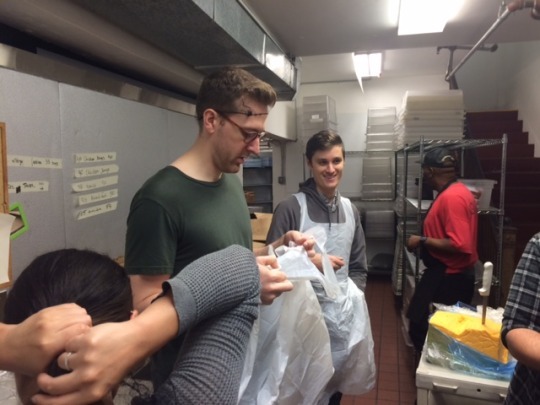 We marked our 1 year of community service initiatives by volunteering in the prep kitchen at GLIDE Memorial Church. What is GLIDE Memorial Church you may ask? The Volunteer Resource Program at GLIDE places about 10,000 volunteers each year, totaling 65,000 hours of service. This program requires 85 volunteers each day to fill the breakfast, prep, lunch and dinner shifts, 364 days a year. 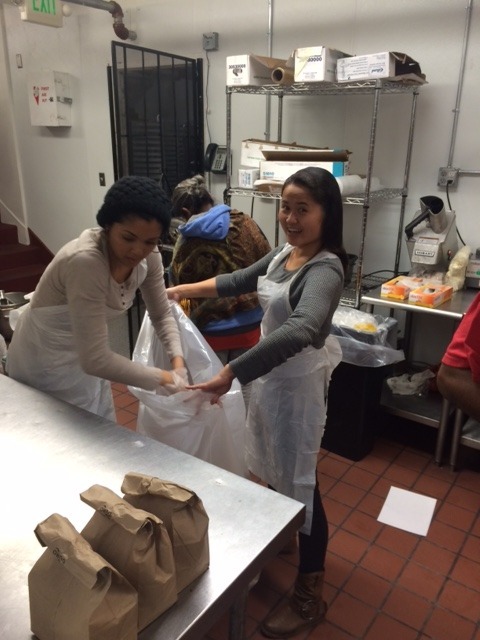 With volunteer assistance, GLIDE can serve up to 2,400 meals per day to our community. Volunteers assist with everything from serving food, to bussing tables, to handing out silverware and condiments. More info about GLIDE can be found here on their website. For this activity, I was accompanied by my fellow Disqussers Rachel, Fonda, Talton, and DMatt, to whom I must give a HUGE thank you for taking time out of their busy schedules to volunteer. Generosity is one of our core company values and it is obvious that this is an intrinsic part of our culture. We all met outside GLIDE and immediately went inside as soon as our shift started. 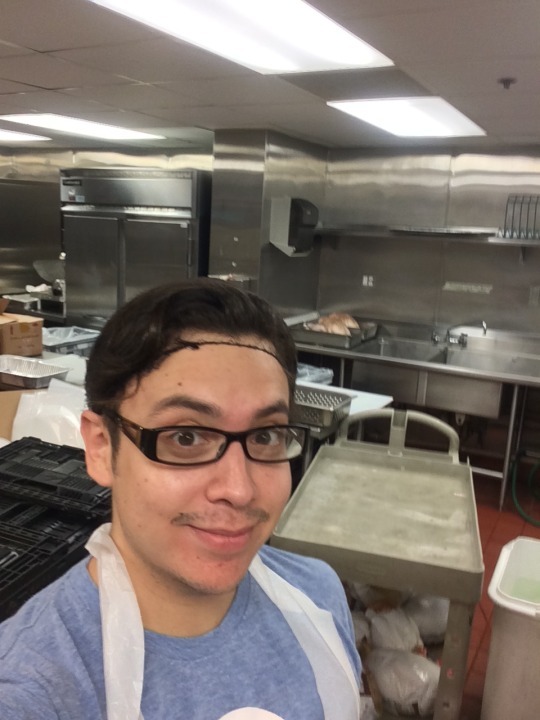 We were directed to the prep kitchen, which is located in the basement of the building, where we were put to work as soon as we set our belongings aside. Normally, organizations who recruit volunteers to help with operations, guide you through some sort of orientation, but there was no such orientation at this facility and we were immediately asked to put on a hairnet, gloves, and an apron, and assigned different work stations, along with volunteers from other local companies. Rachel was assigned to the pancake station, Fonda at the sandwich station, and Talton, DMatt, and I were assigned to the carrot slicing station. 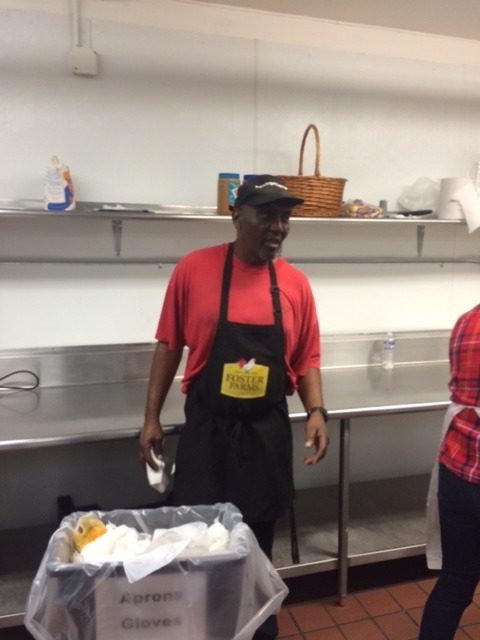 Our prep kitchen coordinator, Bobby (who preferred to go by his nickname: Bernie Mac), was a very “no fuss, no muss” man, but also had a great sense of humor and made sure we had all the tools we needed. I could tell he was very passionate about his job and he wanted to make sure everything got done in a timely manner. As someone who’s been meaning to volunteer for a while, I’m glad that I seized this opportunity. It was great being exposed to the scale of work that the team at Glide undertake on a daily basis in trying to provide so many meals to people in need. I walk past Glide Memorial Church almost every day, but I had no idea the scale of their operation. 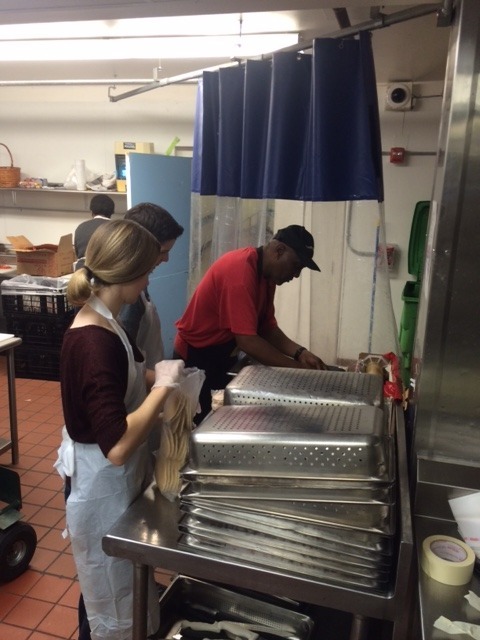 They serve more than 2,000 meals each day, which means there's no time to waste in the Glide kitchen. Our coordinator, Bobby, made sure that everyone always had a job, which for most of us meant chopping carrots–A LOT of carrots. My volunteer partner was very speedy so we got to try out lots of different tasks. We got to prepare pancakes and slice bread loaves the size of sofa cushions. 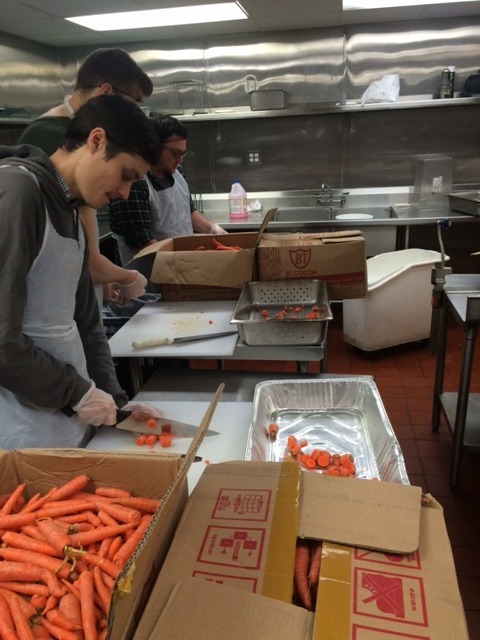 We chatted with other volunteers and sang a few Christmas carols, and before we knew it, we had prepped a dozen turkeys, hundreds of bread rolls, and more carrots than I can count. It was a great experience and I was amazed that the staff at Glide does it 3 times a day! Volunteering at Glide was such humbling and rewarding experience. They open their door to serve meals daily and the tremendous amount of food we had prepared in a span of 2 hours was only enough to feed the homeless for two meals. This had me realizing how much assistance our local community requires to make a difference. Overall, this really sparked my interest in volunteering to raise awareness and inspire others. By the end of it, I couldn’t believe how much work we had accomplished, considering the combined group of volunteers was probably about 12 people. I definitely think we’ll be returning to GLIDE, since it was such an easy process to get involved, although next time, I think I’d like to serve food, so we can really connect and serve some deserving members of our local community. Stay tuned for the next community service blog entry in the New Year! Happy Holidays!